First Post-Shooting Photos Of Rep. Giffords Released : The Two-Way Giffords' hair is shorter than in the past, but there are no visible scars and little sign of the horrific injury she suffered when a lone gunman attacked an event she was holding at a strip mall in Tucson on Jan. 8. 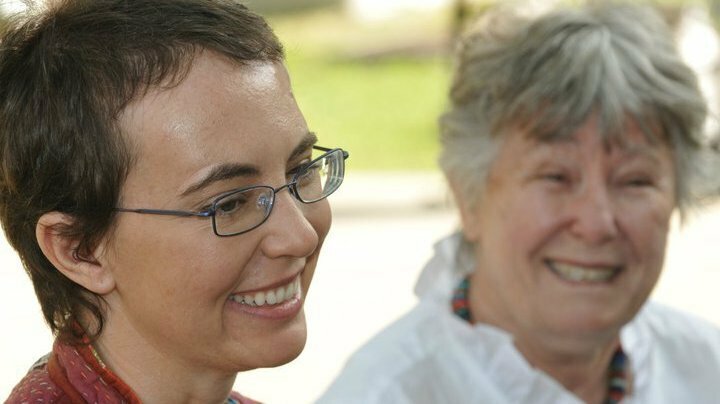 This photo of Rep. Gabrielle Giffords (left) and her mother, Gloria Giffords, was posted on her Facebook page earlier today (June 12, 2011). 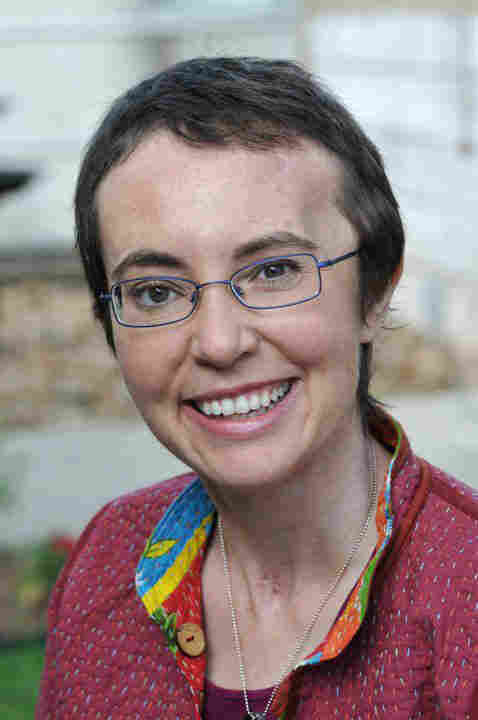 A smiling Rep. Gabrielle Giffords can be seen this morning in the first photos released of the Arizona Democrat's face since she was shot in the head on Jan. 8. The congresswoman's staff posted the images on her Facebook page just a short time ago. Until now, the only glimpses of her had been a close-up of her fingers as she held the hand of her husband, astronaut Mark Kelly, and a grainy, long-distance TV clip as she slowly walked up the stairs of an airplane. Giffords' hair is shorter than in the past, but there are no visible scars and little sign of the horrific injury she suffered when a lone gunman attacked an event she was holding at a strip mall in Tucson. Six people were killed and another 13, including Giffords, were injured. Giffords continues to recover at a Houston rehabilitation hospital. She turned 41 last Wednesday. Update at 12:30 p.m. ET. More About The Photos. "The photos were taken by P.K. Weis of SouthwestPhotoBank.com. He has worked as a photojournalist in the Southwest for about four decades. He worked at the Tucson Citizen for 36 years, including 30 as photo editor, until the paper closed in 2009. 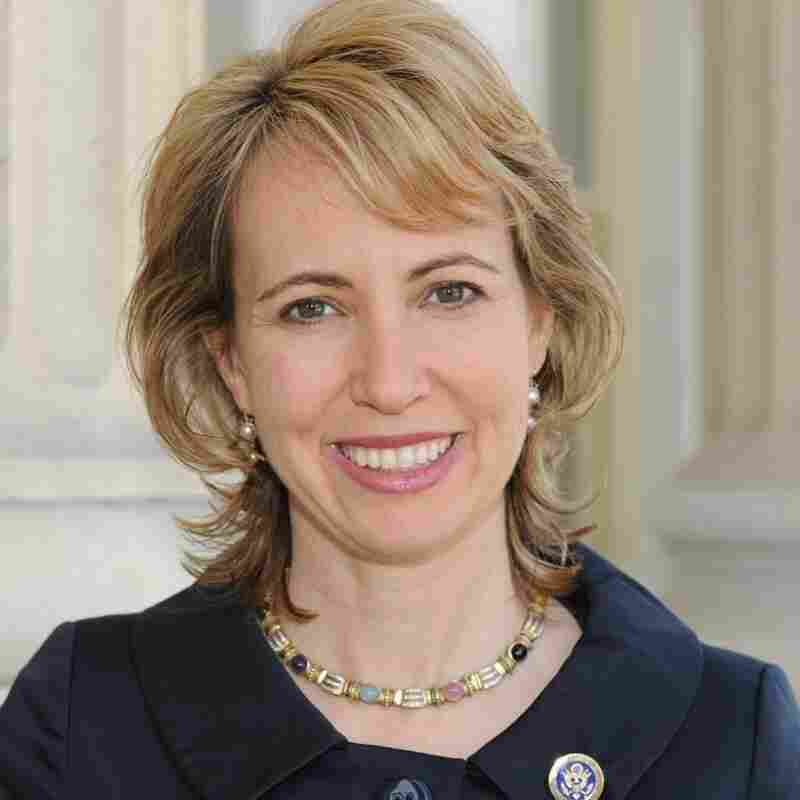 Weis has known Congresswoman Giffords for more than a decade, since before she was first elected to the legislature. "The photos were taken May 17 at TIRR Memorial Hermann Hospital, the day after the launch of Endeavour and the day before she had her cranioplasty."